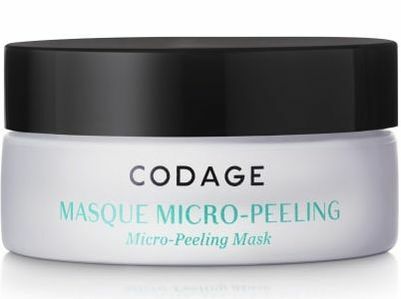 The MASQUE MICRO-PEELING (Micro-Peeling Mask) is a light emulsion composed of AHA, BHA and fruit enzymes. Within only a few minutes and without abrasion, it unclogs pores and eliminates impurities, spots, dead cells and others skin imperfections. Regenerating, this mask strongly stimulates cell renewal, reducing fines-lines, dark spots and other blemishes. 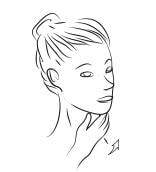 Skin is guaranteed to look new, with a uniform and glowing complexion. Aqua (water), Vaccinium myrtillus fruit extract, hydroxyethyl acrylate/sodium acryloyldimethyl taurate copolymer, salicylic acid, polyacrylate crosspolymer-6, Saccharum officinarum (sugar cane) extract, panthenol, Citrus limon (lemon) fruit extract, Citrus aurantium dulcis (orange) fruit extract, Acer saccharum (sugar maple) extract, bisabolol, sorbitan isosterate, methylpropanediol, polysorabte 60, phenoxyethanol, disodium EDTA, caprylhydroxamic acid, sodium hydroxide, allantoin, parfum (fragrance). 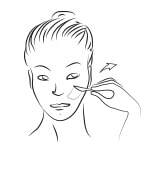 Using the spatula, take the wanted quantity of mask and apply it to the face. Avoid eye contact. Leave 15 to 20 minutes. Can cause tingling effects that disappear in 30 min maximum. Rinse thoroughly and dry the skin.